At Wingate by Wyndham, we know you mean business. Our hotel is PROUD to offer a host of valuable amenities at NO EXTRA cost to you. 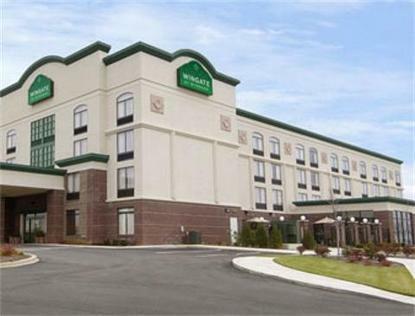 Our all inclusive pricing model gives you access to services and benefits you will not find at other hotel chains, all FREE of charge.The Wingate by Wyndham Louisville was built in 2006 and conveniently located East of Louisville off Blankenbaker Parkway, adjacent out Bluegrass Parkway and Industrial Business Park. Just 15 miles from downtown and close to numerous restaurants.